Don't let your anniversary pass by without giving a gift which truly shows just how much that special someone means to you. Solid American White Oak makes the perfect background to your chosen message which we then engrave for a lasting and truly thoughtful sentiment. 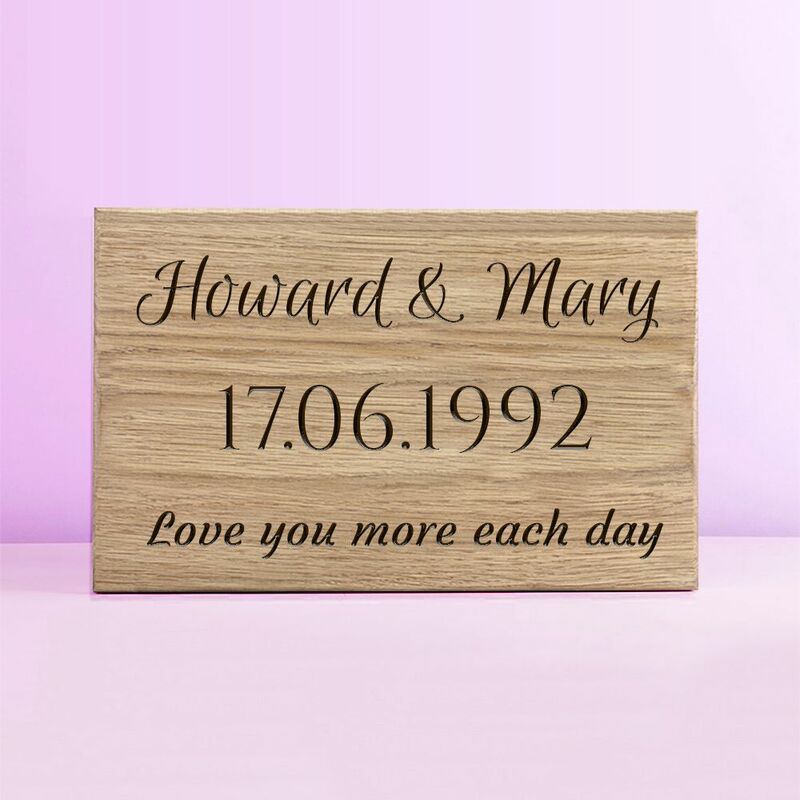 Engraved in our studio, this delightful bespoke anniversary plaque can feature your choice of any name and message making this a truly unique gift. Lovely, Oak wood with distinct natural grain - no two pieces are ever the same.